Indonesian Journal of Electrical Engineering and Informatics (IJEEI) ISSN 2089-3272 is a peer reviewed International Journal in English published four issues per year (March, June, September and December). This journal is published by Institute of Advanced Engineering and Science (IAES) Indonesia Section in collaboration with Universitas Ahmad Dahlan and Universitas Diponegoro. The aim of Indonesian Journal of Electrical Engineering and Informatics (IJEEI) is to publish high-quality articles dedicated to all aspects of the latest outstanding developments in the field of electrical engineering. Its scope encompasses the engineering of Telecommunication and Information Technology, Applied Computing & Computer, Instrumentation & Control, Electrical (Power), Electronics, and Informatics. Since 2017, this journal is indexed in SCOPUS. We invite you to publish your research paper in Indonesian Journal of Electrical Engineering and Informatics (IJEEI), a Scopus-indexed journal since 2017. Our aim is to provide forum to all Spectacular authors to publish their research and share their knowledge. 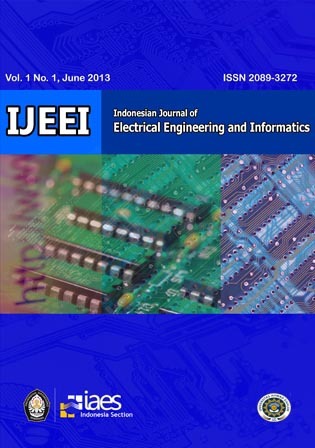 Indonesian Journal of Electrical Engineering and Informatics (IJEEI) is a peer reviewed International Journal in English published four issues per year (March, June, September and December). The aim of this journal is to publish high-quality articles dedicated to all aspects of the latest outstanding developments in the field of electrical engineering. Its scope encompasses the engineering of Telecommunication and Information Technology, Applied Computing & Computer, Instrumentation & Control, Electrical (Power), Electronics, and Informatics. The full articles for IJEEI Vol. 6 No 1 (2018) have been published.